My first stop: The Metropolitan Club on the 67th floor of Willis Tower. 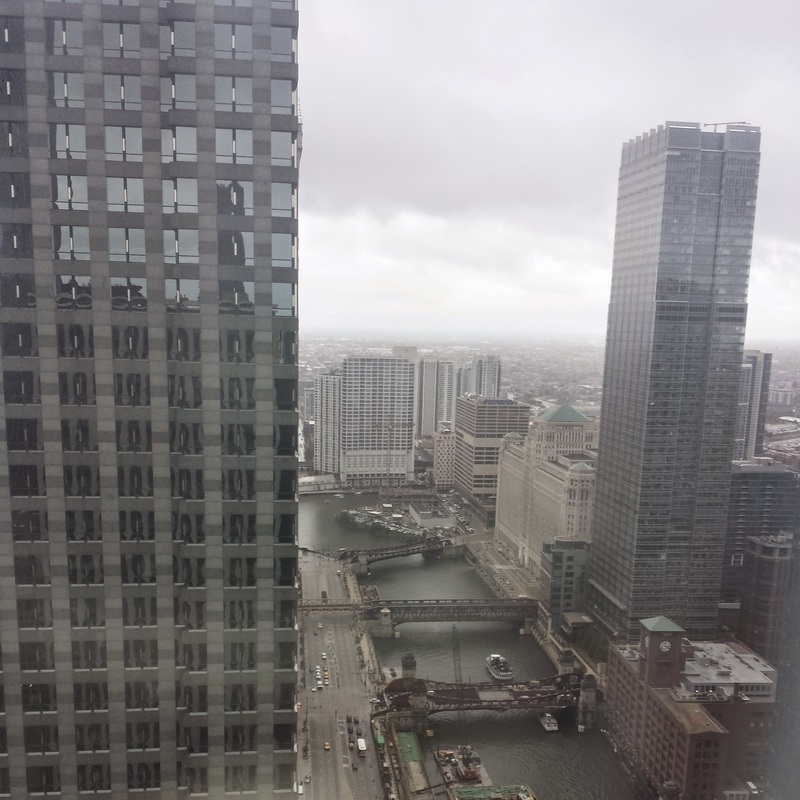 This private business club offered amazing views of the city, even though it was a gray, rainy day. 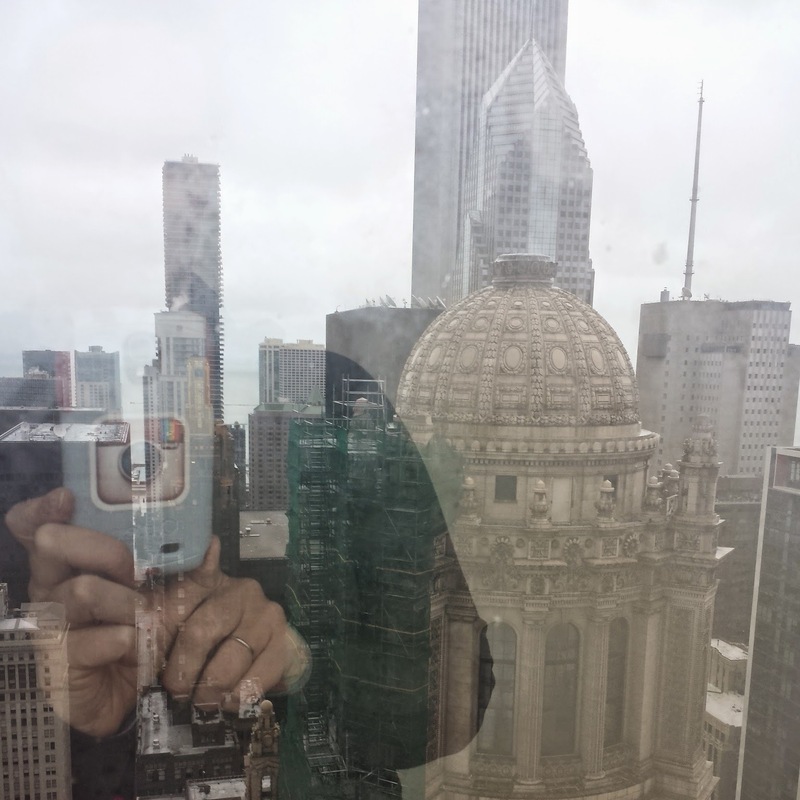 I spent the better part of Saturday hustling from one location to another in the Loop as part of Open House Chicago. It was a great experience, and I'm already making plans for next year. 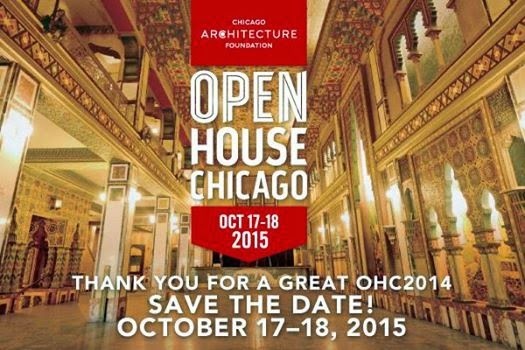 OHC is a 2-day architecture festival that offers the general public access to over 150 buildings throughout Chicago. Presented by the Chicago Architecture Foundation, the event allows curious people like me to go inside private clubs, libraries, hotels, skyscrapers, offices, places of worship, residential buildings, theaters, and more -- all for free, and most allowed photography. While it's not limited to the downtown area -- Chicago is full of culturally and architecturally rich neighborhoods -- I chose to stick to the Loop this year. 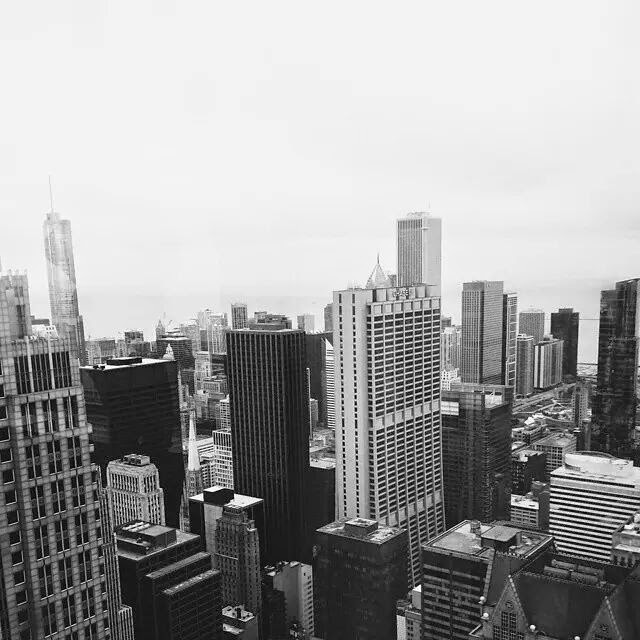 I'm still relatively "new" to Chicago (my 3-year anniversary is sneaking up soon! ), and always discovering new things about the city -- and OHC was a great way to learn and see even more. While architecture and indoor photography are not my forte -- I don't have a passion for them like I do with nature and landscapes -- I jumped at the chance to explore some new places and get access to the top floors of some skyscrapers. One of the best things about the day was how "small" Chicago has become for me, thanks to the Instagram community. I ran into people I knew at almost every venue -- and even at a busy intersection on Wacker Drive. I did not plan very well for my tour in the Loop on Saturday. Now that I've experienced OHC once, I have a better idea of what to expect, which types of places are good to go to, and how to plan my day better. My first mistake was thinking it was a good idea to walk all the way from Willis Tower (AKA Sears Tower) to the Godfrey Hotel in River North. Poor planning. I smartened up and took a taxi back to the Magnificent Mile. That was the best $7 (including tip) I ever spent. 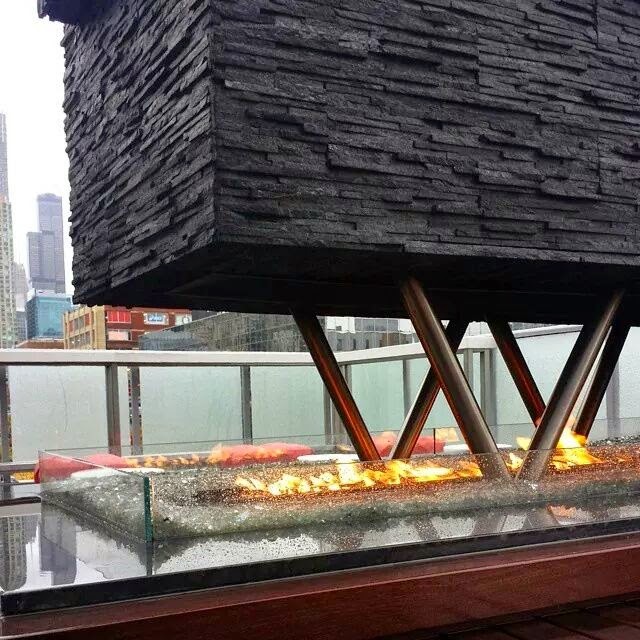 The rooftop lounge at the Godfrey Hotel offered a view of Willis Tower. YES, I walked all the way from Willis Tower. I logged more than 7 miles on my Fitbit! Almost eye-to-eye with Ceres on the Board of Trade building. Viewed from The Library on the 40th floor of 190 S. LaSalle. My day was not without its usual comedy. As a deaf person, I'm usually careful about paying attention to what I am allowed to do in certain places. In the case of OHC, I paid attention to which spots allowed photography and which ones didn't (the OHC program had icons where photography was not allowed, and there were *usually* signs in the buildings). However. I did have a little run-in at the 190 South LaSalle skyscraper. After venturing back down from the 40th-floor library, I was admiring the gold-leaf ceiling in the lobby and decided to take an Instagram snap. Apparently, this was a big no-no, because a security guard (or some such official person) came rushing up to me. He had probably called out and/or yelled at me to no avail first, since I take a while to set up my shots. Ugh. It was a scene, as there was a line in the lobby; I'm sure people thought I had ignored his initial request to not take photos ("What's wrong with her, is she deaf?" Yep. Actually, I am.). I apologized and got out of there pretty quickly. Inside The Library of 190 S. LaSalle. 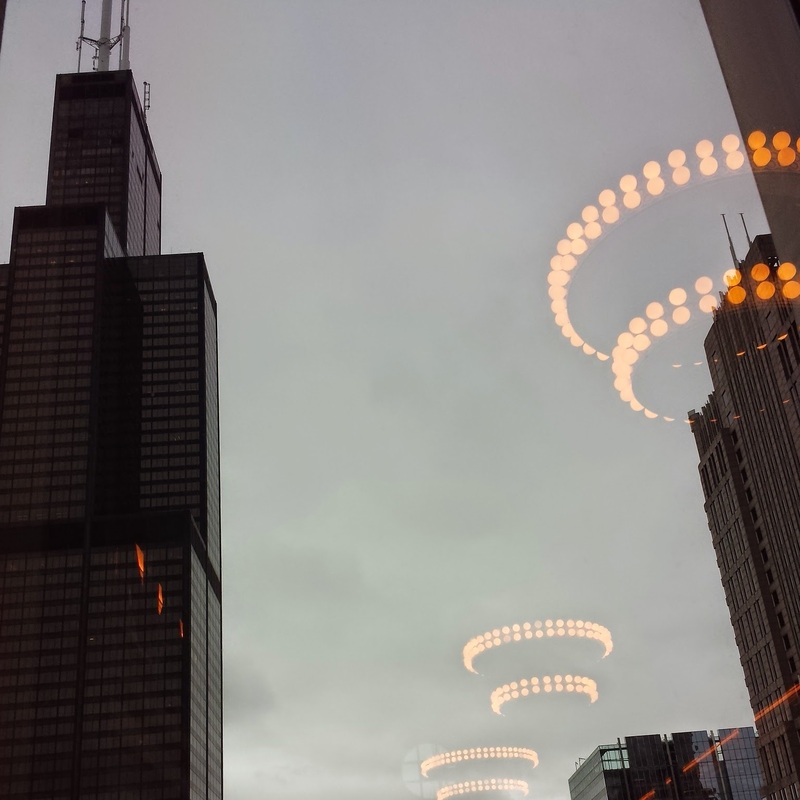 Willis Tower -- and the neat light fixtures of The Library reflected in the windows. My next stop was the Federal Reserve Bank of Chicago, just up the street. I set off the alarm at the security scan, thanks to my cochlear implant and had to be wanded, which rattled me even further, so I ended up not taking a single photo there. Such a shame, as the Great Hall was a beautiful space. 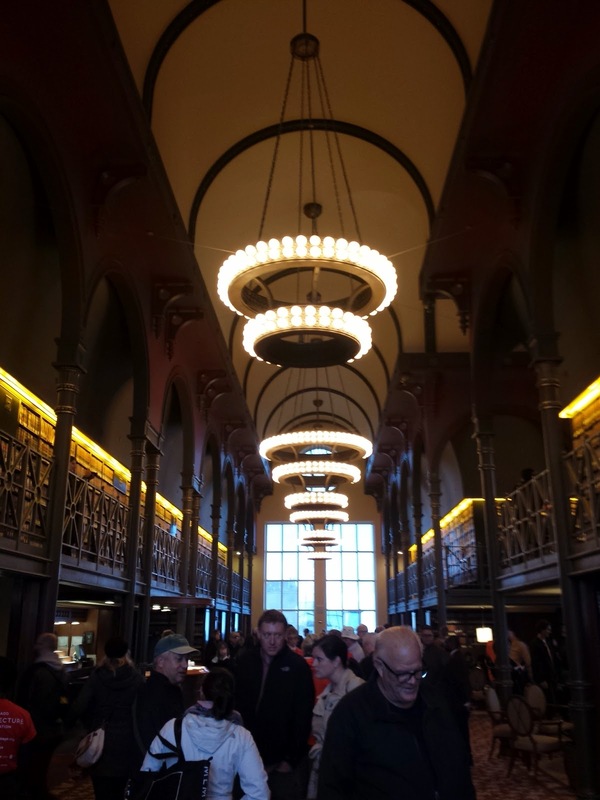 Looking through the hashtags #igc_ohc2014 and #ohc2014 on Instagram after the event, I'm blown away by many of the photos! If you get a chance, go check them out. I promise you won't be disappointed; there were over 1,800 photos tagged. 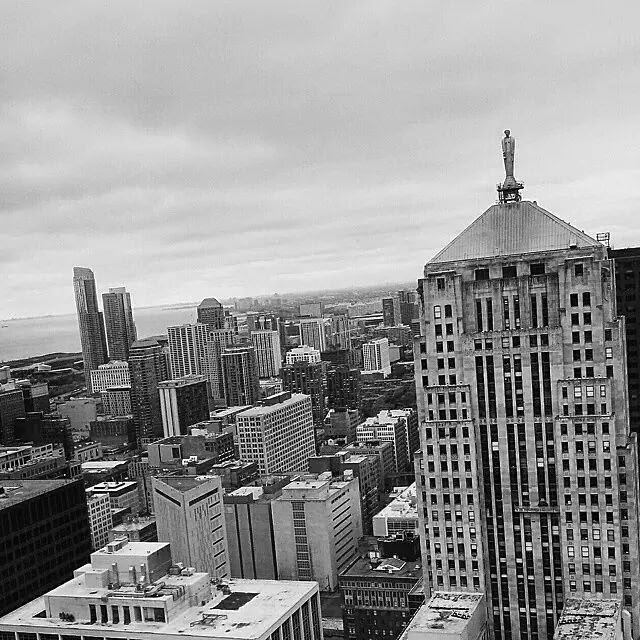 The IgersChicago group will be announcing the winner of the hashtag contest tonight -- the winner receives a $100 gift card and membership to the Chicago Architecture Foundation. I'm curious to see who wins -- the competition is pretty fierce. If you get a chance to go to OHC, GO. You don't have to be an architecture or photography buff. At a lot of the sites, I just ended up wandering around admiring the views. View from The Kemper Building's 41st floor observation deck. I gave up trying to get a good shot out the window and settled for a reflected selfie instead. Somewhat decent shot from the Kemper! Next year's dates have already been announced: October 17-18, 2015. I've got it marked on my calendar, and I've got a couple places marked up on my program so I remember the "must-visit" sites for 2015!